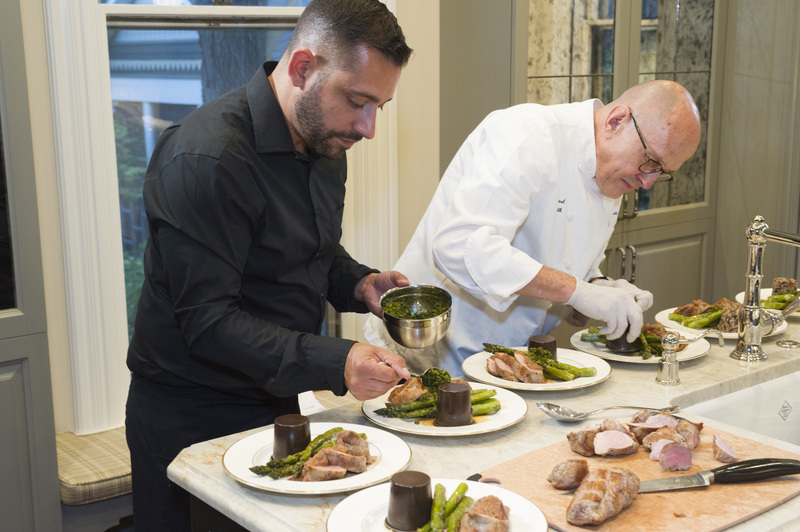 Marcel’s Culinary Experience, a gourmet retailer and recreational cooking school in Glen Ellyn, Ill. (Chicago suburb), has added a chef-driven on-site event option for individuals, businesses and other groups. The new service, called Maison, differentiates itself by doing all cooking at the event location, where hosts and guests are invited to observe and interact with the chef. Marcel’s Culinary Experience (http://www.marcelsculinaryexperience.com), a gourmet retailer and recreational cooking school in Glen Ellyn, Ill. (Chicago suburb), has expanded its private event capabilities with the addition of a chef-driven on-site event option for individuals, businesses and other groups. Executive Chef Paul Lindemuth, a veteran Chicago area caterer and popular instructor at Marcel’s, leads the new service, called Maison, which means “house or home” in French. Maison differentiates itself by doing all cooking at the event location, where hosts and guests are invited to observe and interact with the chef. “It’s like a chef’s table in a restaurant,” Lindemuth said. The Maison team can provide whatever’s required – including arranging for rental dishes, glassware, or tables and chairs – or they can use items provided by the host. Maison can also arrange for extras such as flowers and favors for guests. In addition to preparing and serving food and beverages, the Maison team cleans up. “By doing it all, we let the hosts focus on their guests and not the kitchen,” he said. Each event is custom-designed by Lindemuth, along with other Marcel’s/Maison chefs Brandy Fernow, Robin Nathan and Julie Szimon. For more information, contact Lindemuth at 630-790-8500 or paul(at)marcelsculinaryexperience.com. Marcel’s Culinary Experience is a combination retail store and recreational cooking school located at 490 N. Main St. in historic downtown Glen Ellyn, Ill., about 20 miles west of downtown Chicago. Marcel’s operates a full schedule of culinary classes for cooks of all ages and skill levels, and is available for in-store private events of up to 60 people, as well as in-home or in-office options featuring a private chef. The retail space is stocked with fine cookware and hardworking professional tools, exquisite tablewares, specialty foods and one-of-a-kind items. Marcel’s owner is Jill Foucré, a former health insurance executive, who named the space after her grandfather, a French chef and restaurateur. For more information visit http://www.marcelsculinaryexperience.com.